Traumatic Brain Injury is usually associated with road traffic accidents or criminal assault. It could also happen due to a fall or due to industrial mishaps. Nevertheless the disorder is usually obvious and history is generally clinching. In situations where the history is not forthcoming any injury or mishap associated with the change in the level of consciousness of the individual should be deemed to be associated with brain injury unless proved otherwise. 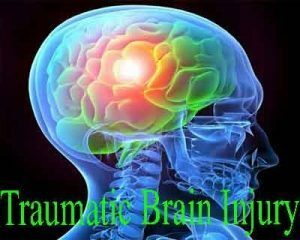 Ministry of Health and Family Welfare has come out with the Standard Treatment Guidelines for Traumatic Brain Injury. Following are its major recommendations. Incidence of road traffic accidents in India is amongst the highest in the world, and is rising. As per the report of the National Crime Records Bureau 2001, 2,710,019 accidental deaths, 108,506 suicidal deaths and 44,394 violence-related deaths were reported in India. A significant proportion of the deaths due to accidents and violence are due to head injuries. A study from NIMHANS revealed that minor, moderate and severe brain injuries (due to RTIs) were recorded in 60%–65%, 16%–20% and 15%– 20% of cases as per the Glasgow Coma Scale (GCS) grading. Mortality was higher among those with severe brain injuries. Polytrauma was documented in 1%–21% of cases. Facial, chest, abdominal and limb injuries were documented in 48%, 3%, 1% and 10% of cases, respectively. Maintenance of oxygenation and blood pressure: Hypoxia and hypotension are common causes of secondary brain injury. Mortality amongst patients whose saturations are < 60% is close to 50%. Duration of hypoxia is also a determinant of adverse outcomes. Similarly, both pre and intra hospital hypotension are predictors of adverse outcomes. It is recommended that systolic blood pressure should not be less than 90 mm Hg. If hypotension does occur initially, all precautions need to be taken to avoid recurrent episodes. In resource limited settings management of TBI on the basis of Cerebral Perfusion Pressure may not be feasible and is recommended as an optional strategy. Hyperosmolar therapy: 20% Mannitol and Hypertonic Saline.Their use is indicated when raised intracranial pressure is suspected.Mannitol can either be used as a single short term agent or as a continuous therapy. However, repeated use of Mannitol over several days is not known to be effective. Surgery, indicated for evacuation of extradural or subdural hematoma, intracranial hemorrhage, depressed skull fracture, other surgery in case of associated polytrauma. Anaesthesia, analgesia and sedation: Providing adequate analgesia and sedation is crucial for a patient with TBI with or without raised ICP. Morphine and midazolam can be used. Infection Prophylaxis: Prevention of other systemic infections is also important in TBI. Early extubation is recommended if the patient has an intact gag and cough reflex. Thromboprophylaxis: Patients with TBI are at a high risk of deep venous thrombosis. This risk increases with the increase in the severity of brain injury. Prophylaxis is either mechanical or pharmacological or both. The use of mechanical intermittent pneumatic compression (IPC) devices is strongly recommended for all patientswith TBI except when there are coexistent lower extremity injuries. o A combination of IPC with low molecular weight heparin is superior to using either modality alone. However, initiating LMWH or Heparin within 24 hrs of surgery is not recommended. No specific agent is superior to the others. However, the use of pharmacoprophylaxis might be associated with a higher chance of intra cranial bleeding. o Seizure within 24 hrs of injury. Phenytoin can be used for preventing early onset PTS. No role can be made out for prophylactic drugs to prevent late PTS. Valproate is as effective as Phenytoin in preventing PTS but is associated with higher mortality. Hyperventilation: Prophylactic hyperventilation is not recommended. It is a temporary measure. Whenever Hyperventilation is frequently required monitoring of SjVO2 or brain tissue oxygen tension is recommended. Therefore such patients need to be referred to a centre with facilties to do so. o Patients with TBI who have a GCS < 8 and for those who have an abnormal CT scan. The abnormalities include hematomas, contusion, oedema, herniation and compressed basal cisterns. o Age of the patient is > 40 years, patient has systolic pressure <90mm Hg or there is abnormal motor posturing. The need for ICP monitoring is an indication for transferring the patient to a facility with the expertise in the technique. It is not recommended for use in non metro areas and resource limited settings. The ventricular catheter connected to an external strain gauge is the best available tool for ICP monitoring. It is the least expensive and currently most accurate. It also gives a therapeutic option of CSF drainage. Fibreoptic transduced monitors are also accurate but more expensive. ICP Thresholds: Measures to regulate ICP should be initiated if the pressure exceeds 20 mm Hg. Treatment should be tailored on the basis of clinical and CT findings with ICP as a guide. CPP Thresholds: CPP should be maintained between 50-70 mmHg. Attempts to achieve CPP>70 are associated with a higher incidence of ARDS. CPP<50mm Hg should be avoided. Brain oxygen monitoring: Wherever facilities for jugular saturation monitoring are available, SjVO2 should be maintained >50%. If brain tissue oxygen tension is monitored then PbtiO2 should be maintained > 15mm Hg. Jugular venous oxymetry is recommended when hyperventilation is used with a therapeutic intent. o Propofol is recommended in moderate doses as a sedative for its beneficial effects on ICP and cerebral perfusion pressure. High dose propofol infusion can trigger Propofol Infusion Syndrome and is therefore not recommended. o Opioid analgesics and benzodiazepines are recommended. Morphine and Midazolam can be combined with opioid analgesics for sedation. o Barbiturate infusions are recommended for control of raised ICP. o If ICP remains high neuromuscular blocking agents may be considered. o Continuous EEG monitoring may be used wherever available to titrate the dose of sedatives. Prophylactic Hypothermia: The use of prophylactic hypothermia in patients with raised ICP is based on the fact that hypothermia decreases the metabolic activity of the injured brain. This reduces the cerebral metabolic rate for oxygen and minimizes the extent of brain injury. The target temperature is 32-330C to be maintained for atleast 48 hrs. However, monitoring patients on hypothermia regimen needs core temperature monitoring and may not be available in resource limited settings. If patients are considered fit for transport, it is advisable to transfer them to a centre with the facilities and experience in using hypothermia.